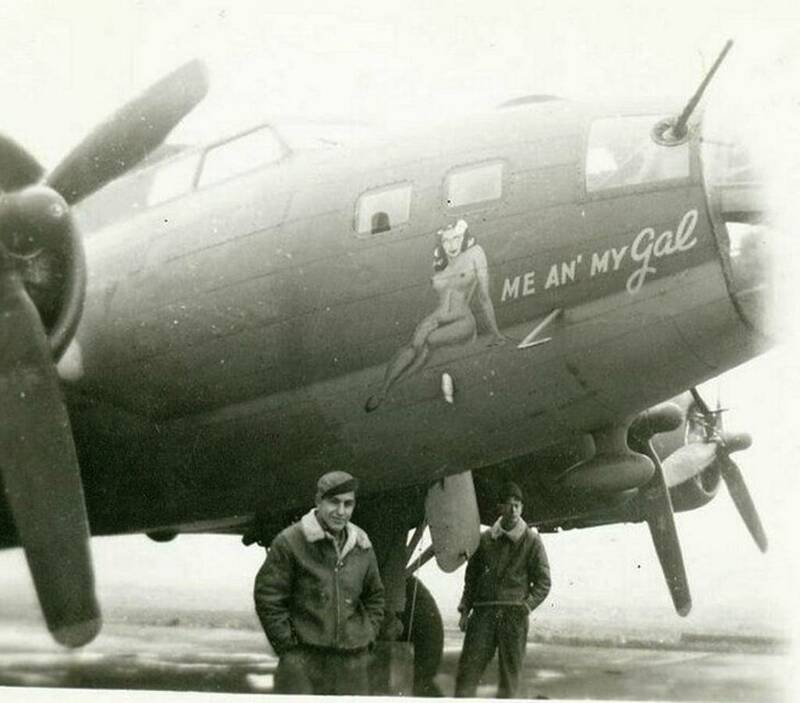 Delivered Cheyenne 20/2/43; Gore 7/3/43; Smoky Hill 14/3/43; Morrison 9/4/43; Assigned 95th Bomb Group/335th Bomb Squadron [OE-L] at Alconbury 17 May 1943. Flew 4 missions with the 95th BG. Transferred to 305th Bomb Group/422nd Bomb Squadron [JJ-E/J] at Chelveston on 17 June 1943. Transferred to the 384th Bomb Group/546th Bomb Squadron [BK-?] at Grafton Underwood on 7 October 1943. Missing in Action Schweinfurt 14 October 1943 with Pilot William R. Harry; Navigator David H. Black; Flight engineer/top turret gunner Tom B. Wheeler; Radio Operator Edward F. Simpson; Ball turret gunner: John C. McKenna; Right Waist gunner: Howard D. Parks; Left Waist gunner: Julius M. Markus; Tail gunner: Leroy Parent (8 Prisoners of War). Co-pilot: Ivan L. Rice’s chute opened inside when about to jump – Killed in Action); Bombardier: Charles P. Mannka (made Prisoner of War-POW – died in captivity). Enemy aircraft, crashed Simmershofen, 19 miles SE of Würzburg, Germany. Missing Air Crew Report – MACR #840. ME AND MY GAL.